Well, here it is. A quick tour of the GGF as captured on my little spy cam. If you want to know why there is a giant pink stamp across every frame, please refer to the previous post regarding this horrible example of techno-extortion. The vocalist's wailing in the soundtrack perfectly captures and conveys the pain I feel thinking about how great this film was going to be. I'm pretty sure it would have won awards at Sundance, Cannes, etc., and now it's just a four-minute eyesore I didn't even bother to narrate. Enjoy! As I downloaded the Gilroy Garlic Festival video files, I was positively giddy at how well they turned out. For a cheap little pocket cam, the clips were crisp and colorful. I had captured some great moments - a perfect flame-up, a garlic-basting rosemary broom, and someone walking in heels. I was really impressed with myself. As I opened iMovie to edit the clips, my euphoria was replaced by intense feelings of anger, shame, and sadness. A month ago I got a free trail for software that quickly and easily converts the files from the camera to a format that iMovie can edit. I had 30 days to try it and see if it was something I wanted to buy. I've tested a lot of these free trails over the years, and without exception, wh en the trial period is up, they simply stop working. In this case, much to my horror, the program didn’t just stop working; it placed a huge scarlet stamp over the frame of every clip I downloaded! Since I had seen the previews, and they looked fine, I had cleared the camera as usual. So, now my wonderful footage is forever desecrated with these scarlet letters. I will further my public humiliation by posting some of the film tomorrow anyway, if only to spite my digital oppressors. 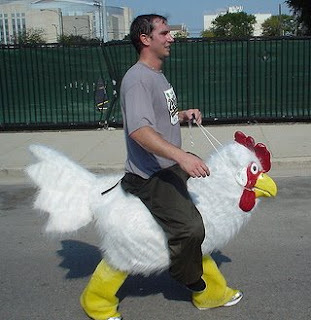 Michele and I are headed south, to the world-famous Gilroy Garlic Festival. The festival is celebrating its 30th year of fragrant foodie fun. 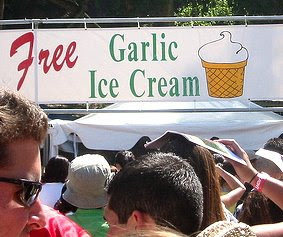 An incredible two tons of fresh garlic will be used in everything from garlic bread to free garlic ice cream…yes, free garlic ice cream. Sporting press passes (yes, legitimate ones), we'll be strolling the festival's Gourmet Alley, to cover the event for About.com. Of course, I'll also try to capture some the event's flavor, literally and figuratively, to share on this blog. I'll leave you with a short clip of the beloved Pyro-Chefs, one the festival's most popular draws. They entertain the masses with their famous flame-ups, as they cook huge pans of garlic-drenched calamari, scampi, steak, mushrooms, chicken, pasta, and, well, you get the idea. That they probably all lose their eyebrows seems like a small price to pay for getting to cook all that amazing food. Go garlic! During culinary school I worked at a Mexican restaurant in Saranac Lake, NY, called Casa Del Sol. Which, as we used to joke, means "Casa of Sol." My favorite dish was the Chile Verde. Large chucks of pork shoulder simmered slowly in an exotic green sauce of tomatillos and chilies. The tomatillos we used were caned - and I was fascinated by the mysterious tomatillo graphics that decorated the label - but it wasn't until I arrived in California that I saw the real thing. What an odd vegetable, or is it a fruit? As you will see in video, it sort of looks like a green tomato, which it isn't. 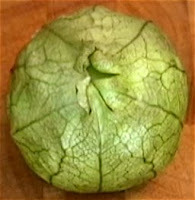 It has this strange, veiny, paper covering, like a giant green gooseberry - and the fl avor is even more perplexing. It's sort of tart, kind of sour, with hints of citrus and green apple. I sound like one of those wine geeks (no offense). 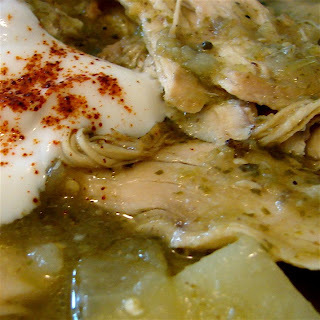 Paired with sweet onions, and savory chicken, this recipe a great way to experience tomatillos for the first time. The real way to spell this recipe is "Chile" verde, not "Chili" verde. But, both spellings are used, and since this particular recipe is more about the chicken simmered in spicy sauce, than the green peppers, I used the Americanized "Chili." Enjoy! Cutting Up a Chicken with Scissors - Shear Genius? This video demo, of a chicken being broken down with kitchen shears, was down with the hopes that some of you will start buying fresh whole chickens, instead of previously frozen chicken parts. Everyone's trying to save a few dollars at the store these days, and what better way than buying a whole chicken; always cheaper than the same amount of chicken parts. If you haven't been buying organic, free-range chicken, because it costs more, this new skill will allow you to get a healthier whole bird for about the same price as the regular package of pieces. I'm assuming that most people have a bit more experience using a pair of scissors, than a razor-sharp boning knife. So, this method of butchering a chicken is much less intimidating for obvious reasons. Hopefully for some, the scissors will act like training-wheels on the path to eventually using a knife for this procedure. Sturdy scissor do work nicely, but nothing can match a boning knife for maximum yield. Enjoy! 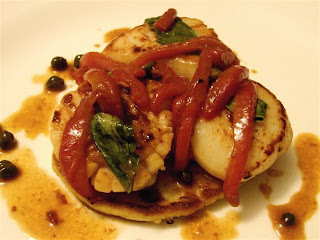 This red pepper scallop dish is sort of a rarity for me. I usually don't shoot after dark, as the food looks much better when I have a combination of natural and overhead lights. It's also rare for leftovers to star in these video recipes, since I don't bother setting up all the equipment when I'm just throwing something together. But this time, for some reason I had a feeling, and I'm glad the camera was rolling. I had a little bit of mashed potato, half a roasted red pepper (see bonus clip below), and a pound of scallops left over from a ceviche recipe I'm doing for About.com. I do have to admit I'm guessing at the ingredient amounts below. 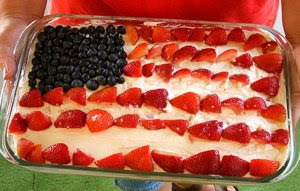 This was fast and fun - no recipes, no measuring - just intuitive cooking. The sad thing about cooking like that is I will never have the exact same dish again. Which is what made it so good. Enjoy. 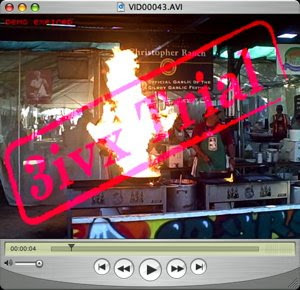 This clips shows a real television rarity; David Letterman actually lets a guest chef complete their presentation. As I've mentioned in a previous post, Letterman is much more interested in using the chef as a comic prop, than getting any kind of useful information. Unfortunately, Alton's array of tricks, while interesting and entertaining, weren't exactly things the average home cook will be able to use. Branding a steak? Black pepper power drill? Frosting a cake on a record player? Nevertheless, it's an enjoyable segment with two of my personal favorite TV personalities. Enjoy. No, not that roll, the one you're using to make that hamburger. That all-American sandwich you're building - with the corn-fed, hormone-infused beef - the mealy, tasteless tomatoes from Mexico - the pesticide-protected lettuce trucked in from thousands of miles away - the high fructose corn syrup-spiked salad dressing, that serves as your "secret sauce" - that sandwich is one reason the slow food movement was born. 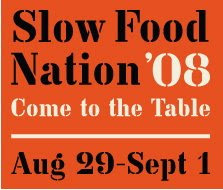 I'm going to cover the first annual Slow Food Nation '08 event, being held here is San Francisco, and encourage those of you in the area to attend. In case you are not familiar with the slow food movement, this is from the SFN website, "Slow Food Nation is dedicated to creating a framework for deeper environmental connection to our food and aims to inspire and empower Americans to build a food system that is sustainable, healthy and delicious." They had me at "food." They've put together a tremendous program. There's the Food for Thought teaching and discussion series, featuring heavyweights Michael Pollan, Alice Waters, and the man who started it all, Carlo Petrini (see clip below), and, what I'm most looking forward to, the Taste Pavilions! There will be 15 distinct pavilions which SFN promises will "…present an unprecedented opportunity to sample the regional foods of America, with products from every state hand-picked by ‘curators’ who are nationally recognized experts in a particular type of food." For a grazing foodie, it doesn’t get any better than that. I hope to see you there! This cherry sauce recipe tastes like it requires many steps, and a fair amount of time and finesse. As you'll see, this is not the case. 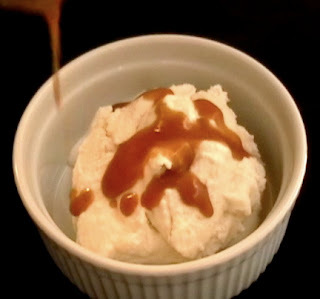 This may be the simplest wine sauce recipe there is. A decent red wine, a jar of tart cherry preserves, and in about ten minutes you have a truly delicious sauce. I used it on duck confit, but it would be perfect for turkey, chicken, game hens, pheasant, venison, and ham. 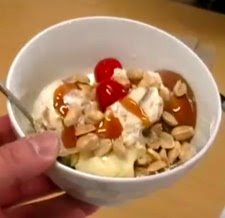 This video recipe was inspired by a sample of Braswell's Select Tart Cherry Preserves I received. I'm not a big jam-on-toast guy, but I LOVE to cook with fruit preserves, especially in sauces. 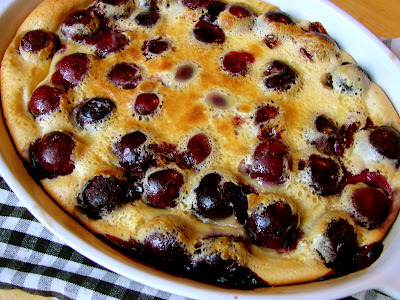 This tart cherry preserves has a bit of sherry wine in it, and a very intense cherry flavor. I liked it so much, I've linked to their website in case you would like to check them out. I also tried their fig preserves, and a very interesting balsamic onion jam. I'm not sure if these new flavors are available on the site yet, but you can contact them for more info. Enjoy! The Winner of the First (and last) Crazy Cooking Caption Contest is…Me? Wow, I can't believe it! I don't know what to say. This is so unexpected - I didn’t even prepare a speech. I would like to thank Food Wishes for this great honor, as well as all the fans that voted. I love you all. I want to thank my wife for all her support, the crazy mac and cheese guy, and…oh, man, I know I'm forgetting someone. Okay, I hear the music…Anyway, this is such an honor, and I just want to say to you all, if you have a dream, go for it. Thank you and God bless. And the winner is...you tell me! Here are the finalists for "The First Ever, Food Wishes Crazy Cooking Caption Contest!" In addition to my brilliant and hilarious entry, I've chosen my five favorite caption entries. The winner will be announced Thursday, and will have a recipe video named after them! Please cast your vote for the best caption! Cooking was just one of the relaxation techniques Bob learned in anger management. "I swear if ONE MORE person complains about hair in their food I'm going to SNAP"! In Soviet Russia, mac and cheese eats you! This was the first and last time Jeff cooked from scratch. Michele and I celebrated my birthday as Star Chef Chris Cosentino's restaurant, Incanto. I've wanted to eat there for a while, so I was thrilled when I found out that was our dinner destination. I really wanted to film it, but nothing ruins the ambiance of a beautiful dinning room, like some knucklehead with a tripod and beeping camcorder. So, I compromised quality for stealthy portability, and brought my little spycam. It does great with enough light (as you may have seen in Atlantic City, Parts 1 and 2), but in low light the picture breaks-up, and gets kind of blurry, especially on darker foods. Anyway, it was a great meal, and I wanted to share the experience, and some of the unusual and delicious food nonetheless. Enjoy! The First Ever, Food Wishes Crazy Cooking Caption Contest! 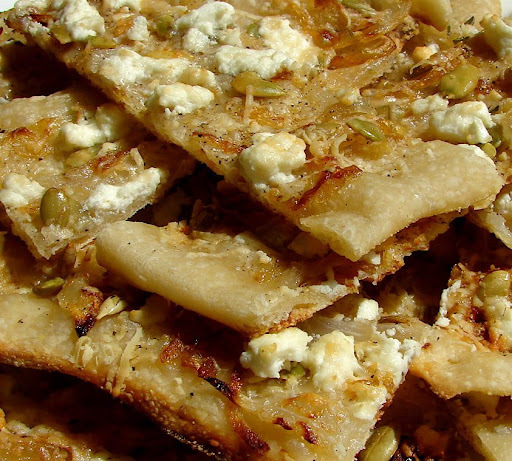 Pumpkin Seed Flatbread with Feta and Sweet Onions - A Delicious Treatment for Insomnia, Anxiety, and Fear of Public Speaking! 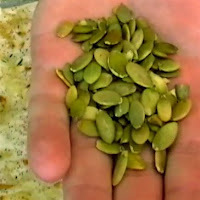 When I filmed this video recipe for a pumpkin seed flatbread, I thought I had just found a delicious and relatively healthy way for my viewers to enjoy raw pumpkin seeds. I had heard they were a very nutritious snack, and wanted to try them, instead of pinenuts, on various recipes. Little did I know, I was really inventing an alternative medicine treatment. That's right, as I researched the health benefits of these pretty green seeds, I discovered that not only did they have lots of nutritional benefits, but also contained large amounts of tryptophan, yes, that tryptophan, the "turkey valium" that you read about every year. While that nap you take after the thanksgiving meal is probably more from the massive amount of starchy food, than the tryptophan, there is a definite sleep/relaxation connection, as it aids in the brain's production of serotonin. "A new study released in the Canadian Journal of Physiology and Pharmacology suggests that a Functional Food made primarily of pumpkin seeds could be an efficacious treatment for anxiety disorders… The study, entitled “Protein-Source as an Efficacious Treatment for Social Anxiety Disorder”, describes that gourd seeds contain the highest concentration of tryptophan, the same amino acid found in milk and turkey, but at much higher levels. " "One single gram of pumpkin seed protein contains as much tryptophan as a full glass of milk. In this study, subjects suffering from Social Anxiety Disorder were significantly less anxious when asked to speak in front of others one hour after eating the Functional Food rich in tryptophan in comparison to placebo. This finding demonstrates that tryptophan does more than induce sleep. In high light conditions, it is quickly converted to serotonin, which significantly reduces daytime anxiety levels." 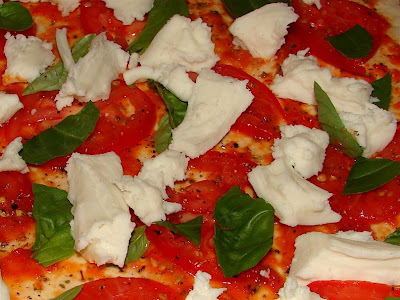 So, if you're all tense about that big presentation, forget popping pills - go with a few slices of this flatbread recipe! I also believe it treats hunger as well. Enjoy! 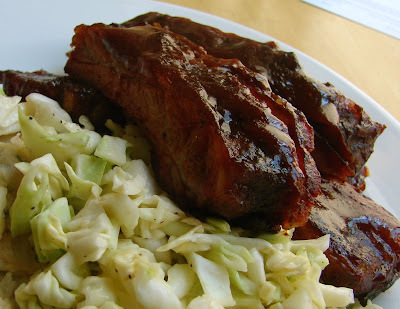 Is there any greater pleasure than eating perfectly barbecued, melt-in-your-mouth, pork spareribs, sitting on top of a fresh, cold, and crunchy coleslaw? 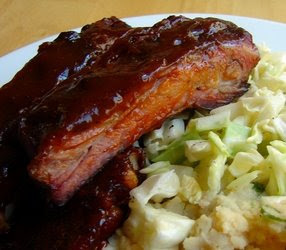 These ribs were generously sprinkled with dry rub, cooked for 8 hours over very slowly-burning mesquite charcoal, and finally, glazed with a thick wash of homemade Kansas City-style barbecue sauce. Click on the photo to enlarge. Warning: May cause uncontrollable salivation and intense barbecue cravings. Here's the interview I mentioned in the vanilla ice cream video recipe a few days ago. Interviews with local, and visiting high-profile foodies, are something I am looking to do more of on the blog. If my dream of a late-night foodie talk show is ever to be realized, I'll need to hone my interviewing skills (that, a hairpiece, and some plastic surgery). I'd also like to apologize publicly to Barbara Walters, for all those comments I've made during her various interviews. It is so much harder than it looks! Thankfully my subject, Bruce Weinstein, was a friendly, gracious interviewee. Bruce is the author of The Ultimate Ice Cream Book, and probably the country's leading ice cream authority. During the interview, I asked Bruce if he had a nickname, or title, like "The Ice Cream Man," or "King Ice Cream." He humbly said he didn't, so I decided to coin him as "Mr. Ice Cream." I figured if it catches on, I may get a mention in his biography, or at least his Wikipedia page. Please excuse my low-budget equipment/production, and lack of serious editing time (aka skills). I had to chop this up into a reasonable length, from about 25 minutes of footage. And, for all of you that have emailed about seeing more of my face in these videos…be careful what you wish for! Enjoy. If you've done any serious channel surfing lately, especially the foodie channels,you've probably noticed the same thing I have…it's all barbecue, all the time. There are two common themes in all these shows; whichever town they're in, has "the best barbecue in the country," and if your dry rub is good, "you don't even need a sauce." 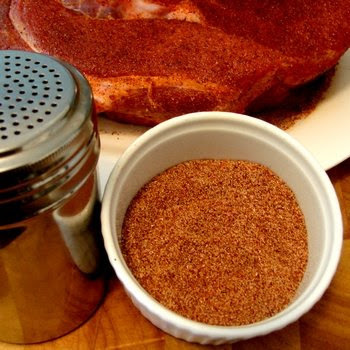 This video recipe for a basic barbecue dry rub, features my favorite all-purpose formula. 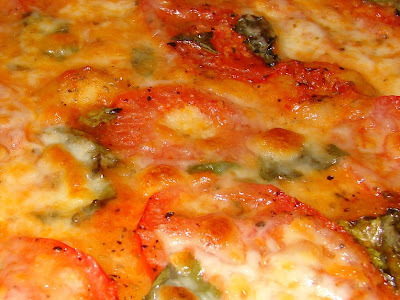 I really like this recipe because it works nicely on chicken, pork, beef, vegetables, and even salmon or tuna steaks. Of course, half the fun of making your own rubs is playing around with different spice blends, so I hope you'll use this video recipe as a just a starting point. There are countless commercial rubs out there, but I can't see paying twice the price, and using something that is most likely made using the least expensive ingredients available, when blending you own is so fast and fun. Once you have your homemade rub in a tub, you may be surprised to learn that, paradoxically, it should be sprinkled on, and not rubbed. Why? Clumpification! Enjoy. In a day or two, you'll see an interview I filmed with Bruce Weinstein, author of the Ultimate Ice Cream Book. It was set up through foodbuzz, a rapidly growing online foodie community that I serve as a featured publisher for. I will save the details for that upcoming post, but after talking (and eating) ice cream with "Mr. Ice Cream," as I call him, I was inspired to make a batch myself. I decided to do vanilla, as it really is the king of ice cream flavors (sorry chocolate). No other flavor makes milk taste milkier, or cream taste creamier. When I do vanilla ice cream, I prefer the old fashion "American," or "Philadelphia-style" which doesn't contain any eggs, as the more popular French vanilla does. While this style of ice cream is certainly not as rich, in my opinion that sacrifice is rewarded with a brighter, more pronounced vanilla flavor. I also use a combination of milk and cream, which is obviously much lighter than the traditional all cream versions. You should experiment with different proportions of dairy, and find your "perfect scoop." 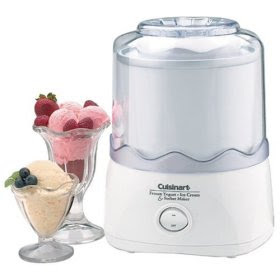 The Cuisinart ice cream maker pictured here is the one I use, and highly recommend. It's relatively inexpensive, and will provide many years of homemade ice cream and sorbets. The great thing about this model is that the "bucket" is kept in the freezer, and is ready any time you are. Enjoy! Thomas Jefferson, who composed the timeless, transcendent text below, was not only a brilliant political philosopher, but also an accomplished farmer, and the country's first real foodie. Even if he hadn’t helped father this country, the fact he invented mac and cheese would have cemented his place in American history. Whenever I read the preamble to the Declaration of Independence, I can't help wondering how that last sentence would have ended, had Jefferson not been such a passionate gourmet. Enjoy the Fourth of July weekend, and all that you pursue. Atlantic City - Part 2: An Explosive Toast to the Coast! My career as a documentary filmmaker comes to an end today, with the final episode from my foodie fling in AC. You'll see; a tour of my hotel room (an inside joke for Curb Your Enthusiasm fans), the world's worst new barbecue invention, people answering a very tough question, and projectile champagne spillage. Oh yeah, and my new BFF, Guy Fieri, makes another cameo. I'm just about all caught up with my work, so I'll be back after the weekend with some brand new video recipes. Enjoy the clip! 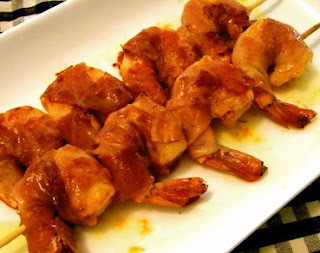 Grilled Ham-Wrapped Prawns - Declare Independence from the Tyranny of Barbecue Boredom! This grilled prawns wrapped in Serrano ham video recipe, I did for About.com, is a perfect way to add a new, delicious, and very easy menu option to your Fourth of July barbecue. Once the prawns are wrapped and skewered, they only take about 5 minutes to cook, and are guaranteed to be the hit of the 'Q. In the video you will hear me talk about Serrano ham, which is very close to a proscuitto. The great thing about this recipe is that you can really use any thinly sliced, smoked ham. A nice Virginia ham, or Black Forest ham would work great. I have even seen people use pastrami! The skewers can be seared in a pan, as I do in the video, or broiled, but the best way, and this should totally work this weekend, is to throw these on the grill for that extra special hit of smoky caramelization. By the way, if you aren't crazy about the Spanish-style I chose, this technique works with any flavor profile - Asian, Italian, Cajun, or just a little salt and pepper. Enjoy!